A six year-old is boy recently diagnosed with osteosarcoma in his right femur. Bone cancer, with the likelihood of amputation, a long series of chemotherapy treatments and hospitalization. For this boy his entire world changes in a blink of an eye. A flood of thoughts fill his head, and his biggest concern is if ‘I will be able to play like a normal kid again’. Over thirty years ago Camp Esperanza directed its mission and goals to focus on this exact scenario. How can we help kids with cancer feel normal again? How can we help them believe in themselves and show them there’s still fun to be had, friends to be made and walls to be climbed? More children are lost to cancer in the U.S. than any other disease. In fact, more than many other childhood diseases combined. 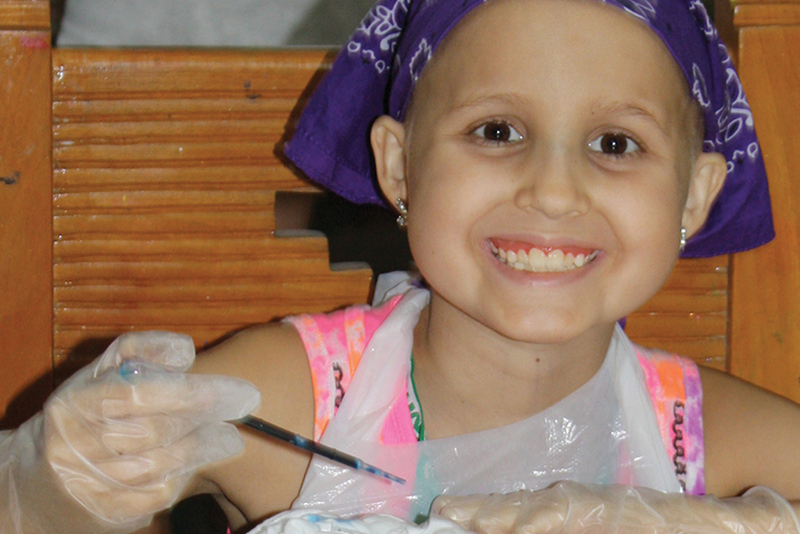 We provide kids with cancer a week of fun and friendship while building confidence and inspiring hope. It takes a village to make camp successful year in and year out. All of our volunteers are “volunteers” and spend many hours preparing for camp, training and then devote six full days/nights at camp. Our motto is “It’s for the Kids”. Everything we do is for the kids. 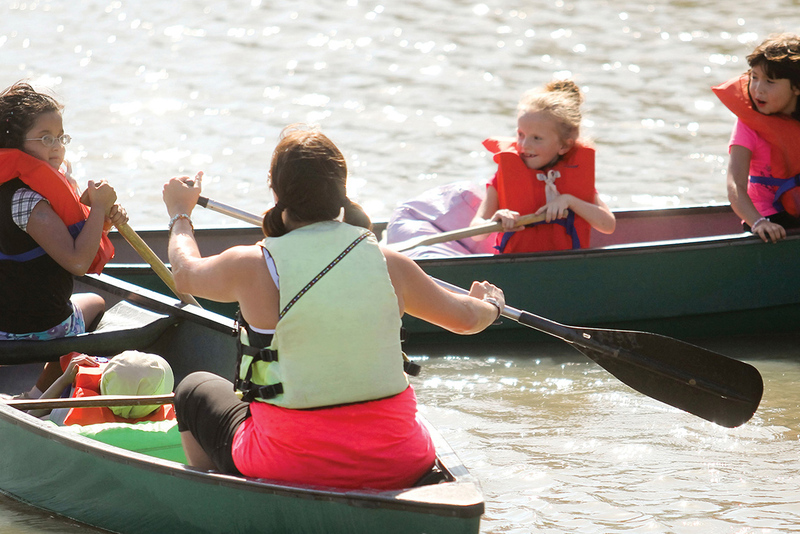 It’s our passion to make camp fun for each and every camper. Camp John Marc has hosted Camp Esperanza for over 25 years, providing us with an incredibly beautiful place to play, learn and grow. The facility provides wheelchair accessibility throughout the grounds, a brand new medical building with all the bells and whistles and a top-notch staff that works super hard year round to ensure all camps are safe, fun and convenient. You’ll also find a dining hall large enough for every kid, counselor and Camp John Marc staff to enjoy three meals a day together. There are pathways to help campers’ transitions from building to building with ease and of course, there’s ice-cold air conditioning. But let’s admit it, the kids aren’t interested in those things. Here’s what they’ll be jazzed about. 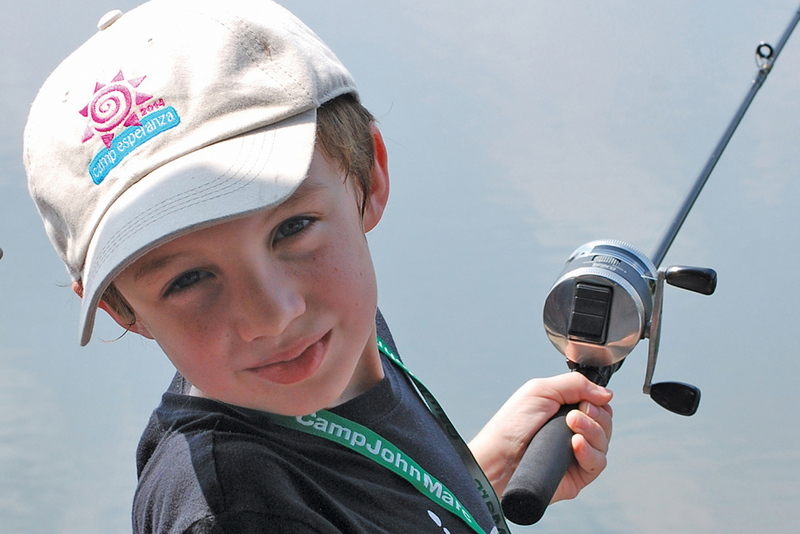 The fishing pier is one of the coolest places at camp. They’re plenty of gummy worms and snow cones served here. Many kids have caught their first fish here. The Silo houses big groups for skits and parties. There’s a darkroom, science and nature room and a fantastic kitchen for cooking classes. 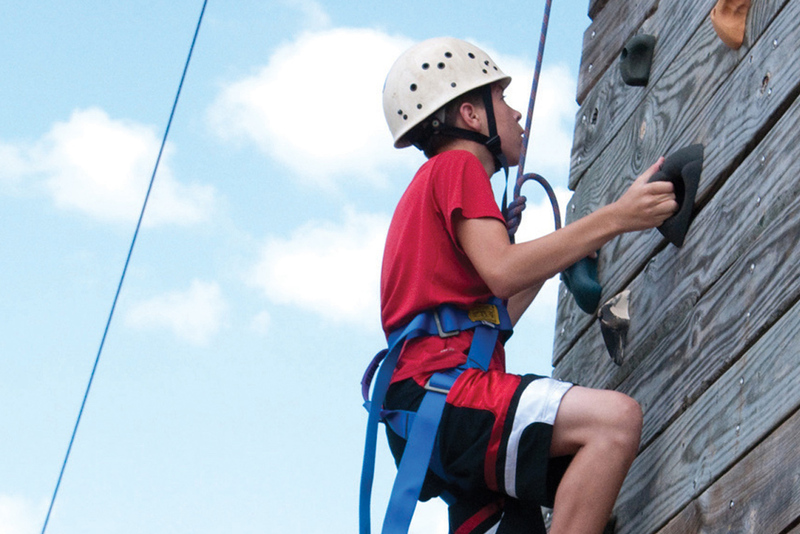 A new challenge course provides climbing challenges and a zip line. Kids love to shout “ON ZIP” just before flying through the sky. A wonderful covered horse arena is where campers get to saddle up and experience a different view of camp – one from atop a horse! A state-of-the-art boat dock complete with canoes, kayaks and hand paddle boats. Design for easy access to the boat dock makes boating easy and safe. A swimming pool with a beach entry, waterfall and creek that feeds into the pool. 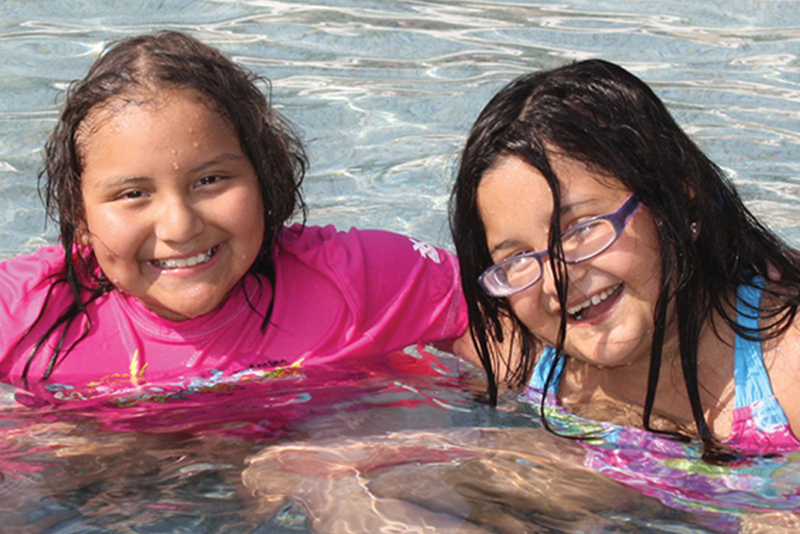 You’d be surprised how many kids learn to swim at Camp Esperanza. There’s a super shady and breezy archery range for target shooting. Take your aim! Kids will find a really cool Arts & Crafts and Pottery building for exploring painting, any craft imaginable, pottery and so much more. Lets’ get creative! Camp co-directors start planning next year the day after we get back from camp. Camp Esperanza has a leadership team that keeps camp fresh and exciting each year and also brings with it many years of experience. We follow processes that have been proven and evolved over the years and keep camp running smoothly from year to year. 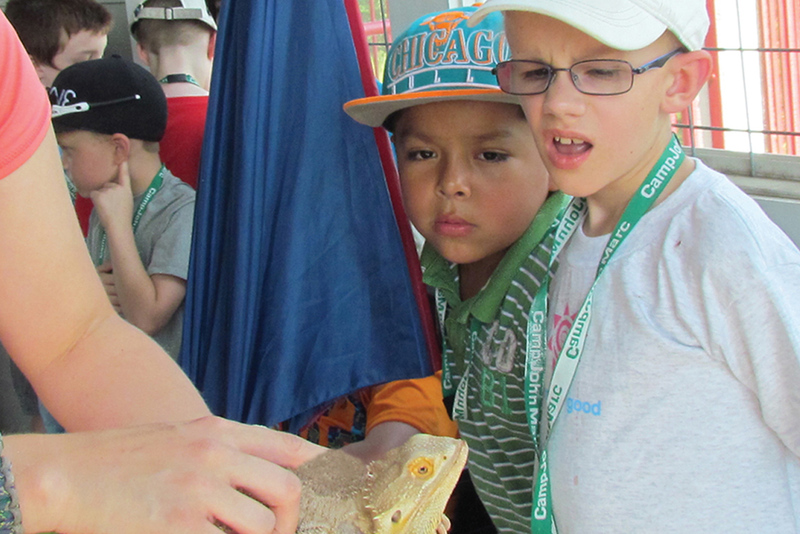 Camp Esperanza includes a full medical staff which provides care to your child during their week at camp. The medical staff includes 2-3 oncologists, 4-5 oncology nurses, a child life specialist, and a social worker. The medical building is state of the art. Due to this, the medical team is able to deliver all the care that can be given in our oncology clinic while your child is at camp. Therefore, your children are able to have fun at camp but also receive all the medications and monitoring needed to keep them safe. 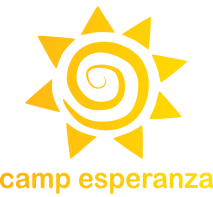 Camp Esperanza provides 60 qualified counselors for the week of camp. This includes background checks, extensive training and orientation formats, more training and orientation and yep, even more training. The minute your child steps on the bus headed for camp, we have extremely well trained and qualified volunteers to oversee not only their transportation to camp but also high-level supervision while at camp. Our cabin ratio, fourteen kids to six adult counselors, is perfect for offering each child the attention and supervision they’ll need. We’ve worked hard to fine tune the safety measures required while your child is in our care and lean also on Camp John Marcs’ expert staff to guide and help us along the way. Bottom line, we’ve done our homework and we assure you, your child is in good hands. As mentioned above, it takes a village to make camp successful year in and year out. Twenty plus people start planning camp in January each year. 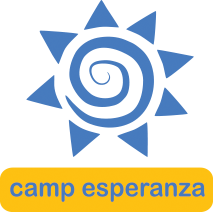 The Camp Esperanza steering committee is comprised of many people fulfilling duties and advising for medical, child-life, travel squad, skit night, graduation, personnel, co-directors, arts and crafts, acquisitions and many more. Camp John Marc has hosted Camp Esperanza for over 25 years, providing us with an incredibly beautiful place to play, learn and grow. 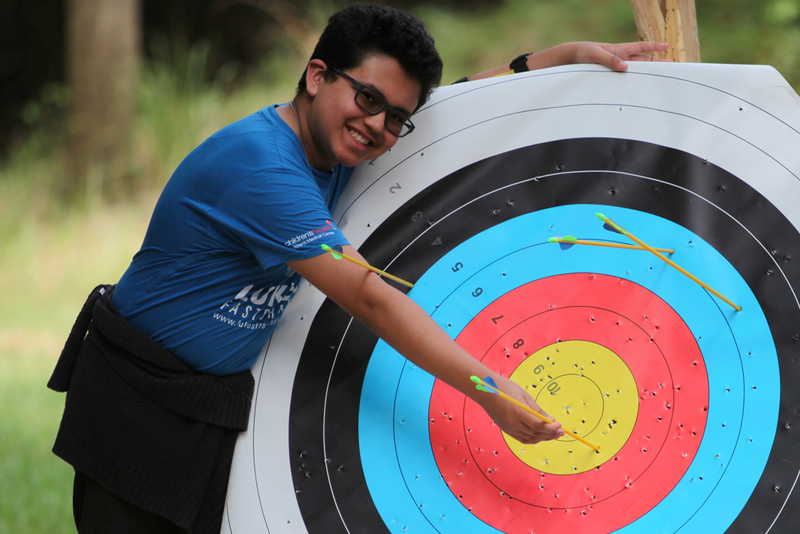 They also provide over 40 well-trained staff that supervise and instruct each activity at camp. These are amazing and energetic staff members that make Camp Esperanza campers love camp each and every moment! Not only is Camp John Marc a beautiful place, magic actually happens here. Kids with cancer rise above their disease through encouragement and achievement while counselors embrace the true meaning of giving. All while deer and rabbit graze quietly in a distant meadow. Each camper can expect a number of programs and activities to look forward to such as party night, theme night, skit night and cook-out. Seniors will celebrate their last year at camp with a pizza pool party, a senior breakfast, a senior dinner and a formal graduation ceremony. Sunday has been renamed to Sunday FUNDAY, and the PeeWee’s always show up on Wednesday. Whatever the interest, whatever the excitement, we’ve got it covered. Everyone will find plenty to keep them busy, laughing and challenged. That’s how camp works and it’s been working pretty well, for quite some time. When it’s time to start packing for camp be sure to bring your sense of adventure. We have loads of actiivities and programs planned so you can have a super fun week. 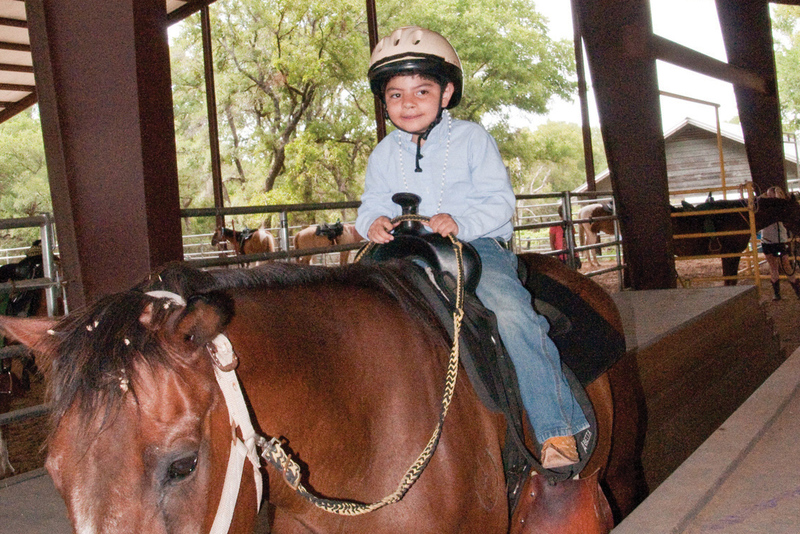 From horses to ropes course to archery to swimming, we’ve got it covered. It’s time to find you sense of adventure so start your packing. Get ready to have a blast! I’m really gonna miss going every year but I’m hoping that I get to go to teen retreat until I can’t go anymore! Every year at camp always impacts me because I’m around people who are just like me! I had a fishing project with my best friends Dustin and Cooper and getting to spend time with them while getting to do my favorite activity was so AWESOME! It’s always sad to send them off on a big bus, but it’s a time that for one week your child is like everyone else. They don’t have people staring and whispering. It’s a time they get to make friends that will forever impact their lives. What counts in life is not the mere fact that we have lived. It is what difference we have made to the lives of others that will determine the significance of the life we lead.